Courier Expert’s vast network of vehicles extends right across the Central and East of England region. 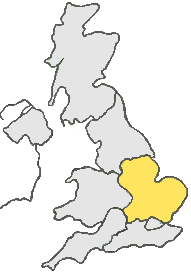 From coastal areas such as Lowestoft, to much further inland like Nottingham. If you live in Lowestoft and you need goods collected and delivered urgently, you can count on the Courier Experts, to send a dedicated vehicle at short notice and meet your deadline. So if you are looking for a Same Day Courier Lowestoft call us now on: 01603 291010.